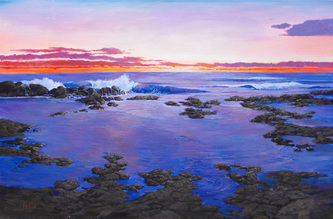 Henry Ha’o, a native son of Hawaii, was recognized in 1969 as the youngest artist to be awarded a commission by the Hawaii State Foundation on Culture and the Arts. 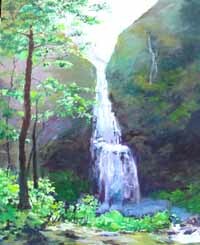 He went on to receive a local scholarship to attend the School of Visual Arts in New York City following graduation from high school. After many years away from home, the call of the Islands drew him back to Hawaii where he now resides with his family. 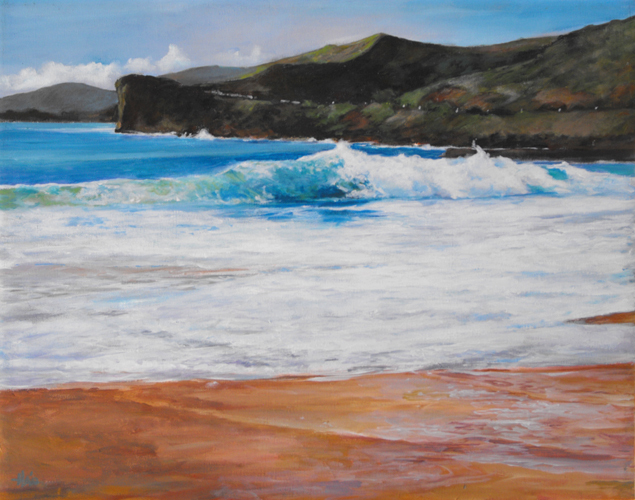 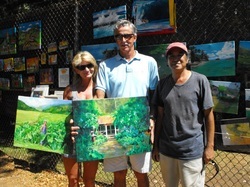 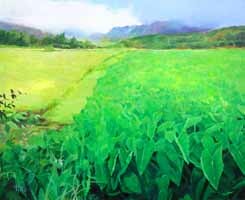 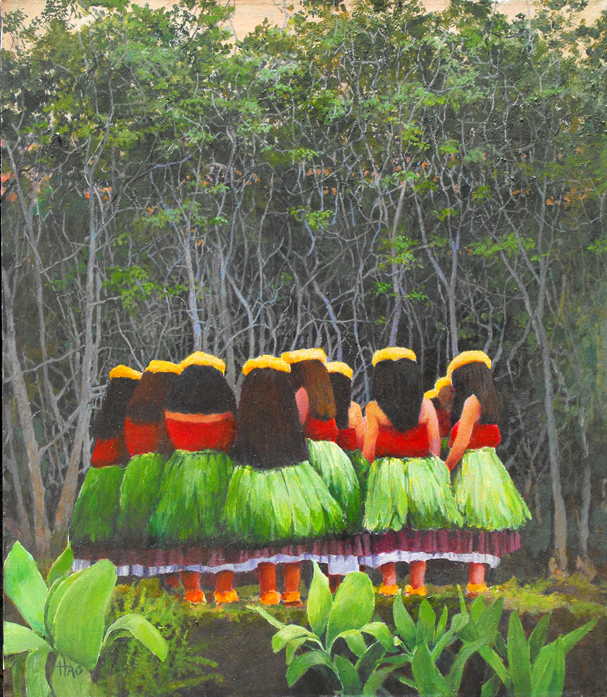 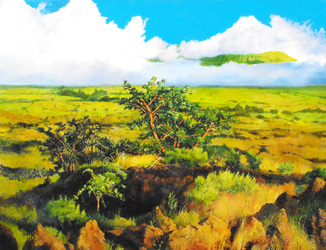 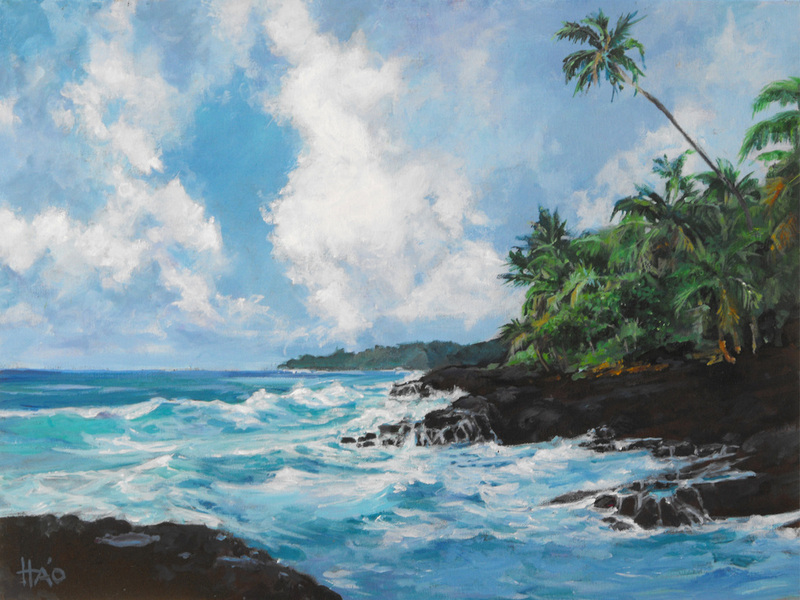 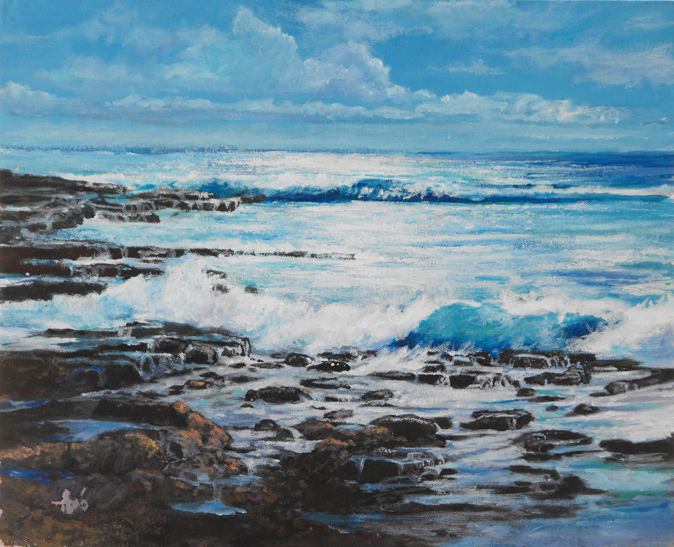 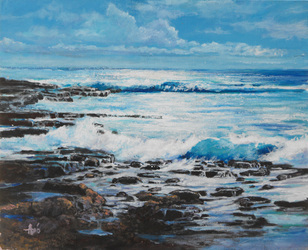 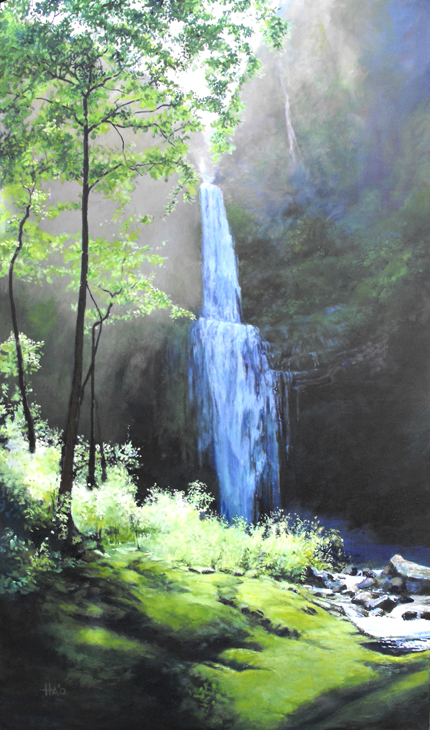 An accomplished watercolorist and oil painter, he now translates the local scenery and the tradition of the hula through acrylic paint on canvas. 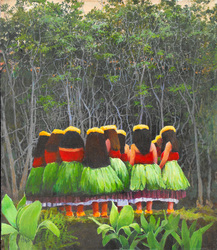 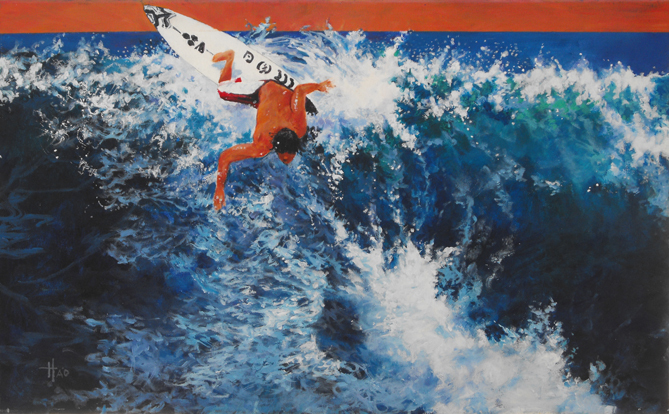 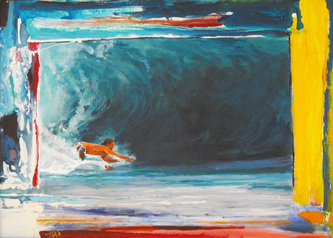 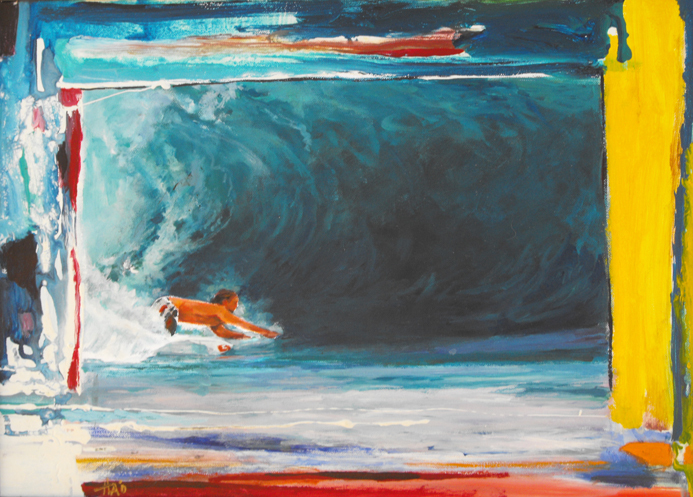 His paintings reflect the beauty of the sea, the mystery of the mountains and the grace of the hula in both traditional and contemporary style. 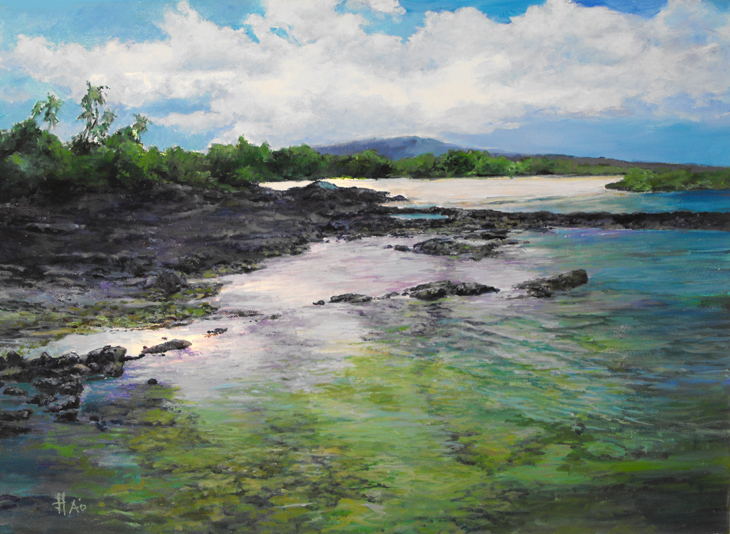 While the work is generally representational and realistic, it often exhibits both brushwork and subtle injections of color that bring the paintings to life. 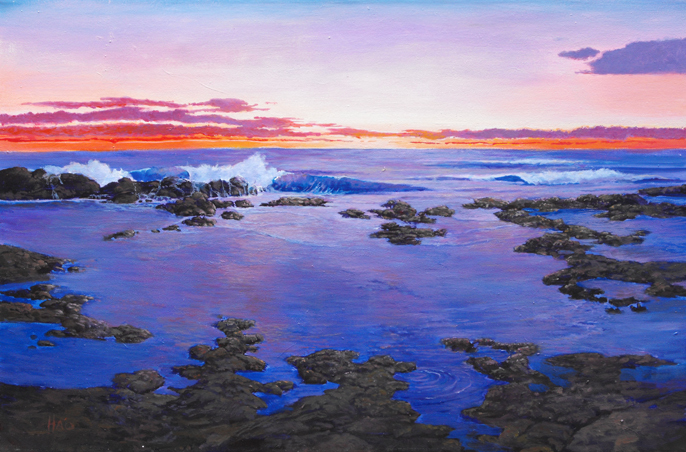 His commissioned works hang throughout the islands , the mainland and Canada, including a commissioned piece for the Disney Ko’olina Resort.